how does one place manage to be off the beaten path but also a super hot spot at the same time? i don't have an answer for this ... but ada street has done it. this gem is located on elston in between north & cortland ... in the elston industrial district. have no idea where that is? i wouldn't either, except i drive through it everyday to work. but that's what i'm saying ... off the beaten path, people. a bit about ada street : "chef zoe schor's blend of classical & contemporary cooking methods are rooted in her experiences working in some of america's most iconic restaurant kitchens ... ada street's menu celebrates the seasons with beautiful ingredients, passion & love." hi. great! 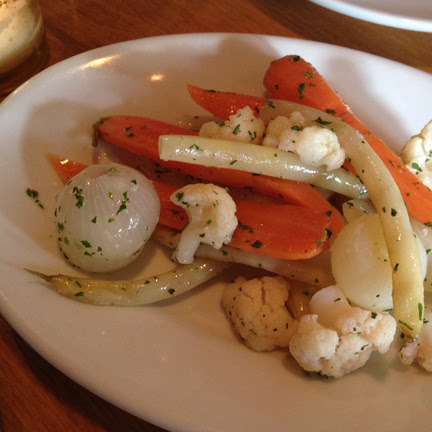 onions, carrots, cauliflower & beans. another one i couldn't pass on. just the right amount of pickling to allow for some crisp-ness. roasted tomatoes, red & golden beets, green beans, chives, fennel leaves. 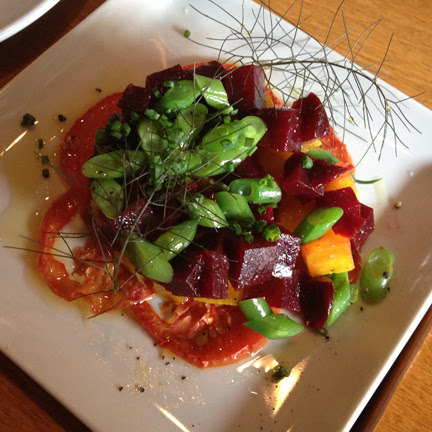 love me a good beet salad. all around awesome. i think it was fennel leaves on top, which added the perfect amount of weirdness. oh, and the roasted tomatoes at the bottom were a great addition. 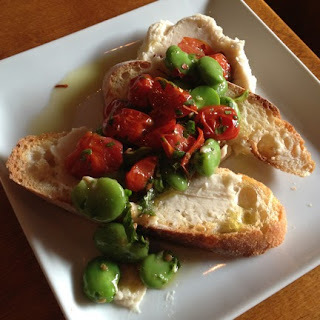 roasted tomatoes, fresh fava beans & white bean spread. anything that involves bread i basically love. this was no exception ... tied for one of my favorite dishes of the night. eggplant & i have a so-so relationship. but i wanted to give it a try anyway. these were the fattest eggplant slices i have ever seen. at first, i thought they were mushroom caps & about fainted. but that was just me being silly. 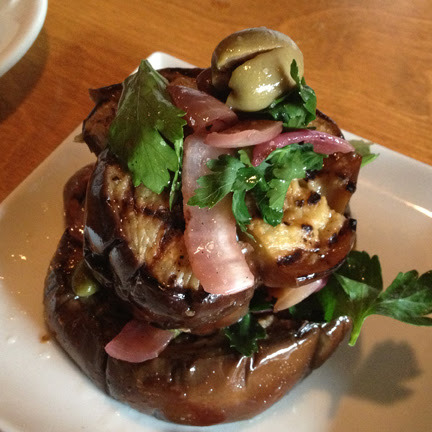 if you love eggplant, you will definitely love this. my other favorite plate of the night. just so incredibly good. summer squash in summer is perfection already ... add some chilis, mint & olive oil and you've got yourself a winner. 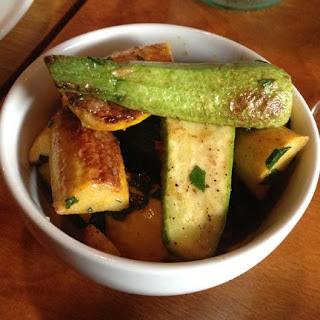 like every other restaurant in the entire world at the moment, ada street serves all small plates. but i mean, small plates. i think we had 11 dishes between three girls. this is always fine with me, as i like to try as many items as possible. but something to keep in mind for other diners. besides the fact that i have been wanting to try ada street for a while, one of mah besties is a server there. (hi, ilana!) ilana is a former-vegan-back-to-vegetarian, so she knows what's up when it comes to what's suitable on the menu. 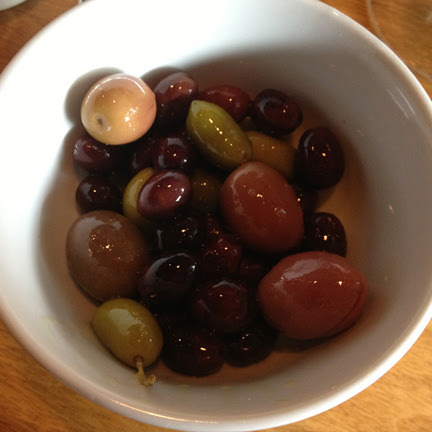 2. drink many many libations & eat many many small plates. barcelona, spain : passadís del pep. barcelona, spain : juicy jones. figueres, spain : granada vins. barcelona, spain : cal pep.